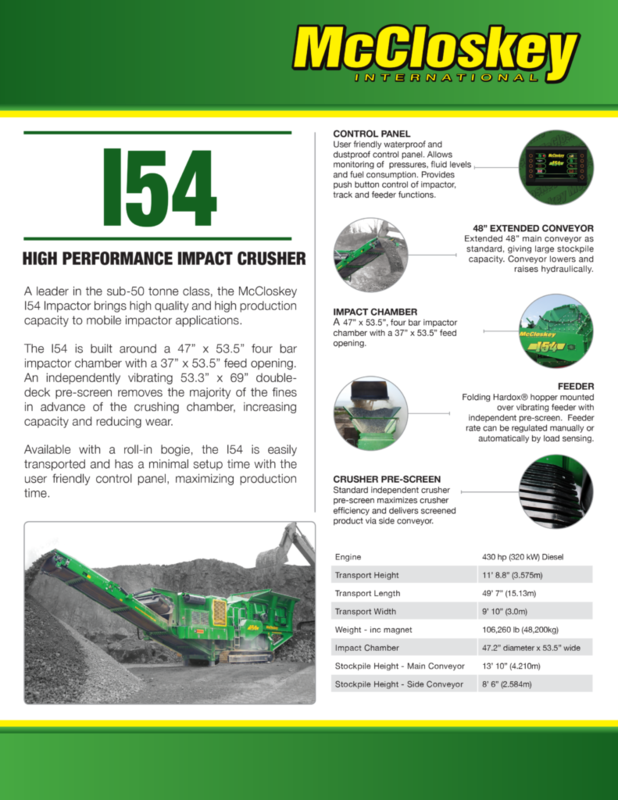 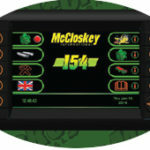 I54 IMPACT CRUSHER – Bison Iron Corp.
A leader in the sub-50 tonne class, the McCloskey™ I54 Impactor brings high quality and high production capacity to mobile impactor applications. 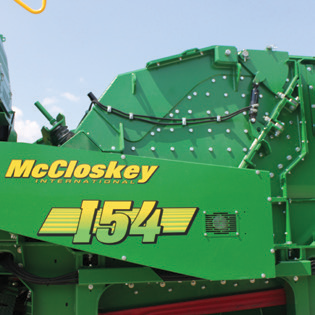 The I54 is built around a 47” x 53.5” four bar impactor chamber with a 37” x 53.5” feed opening. 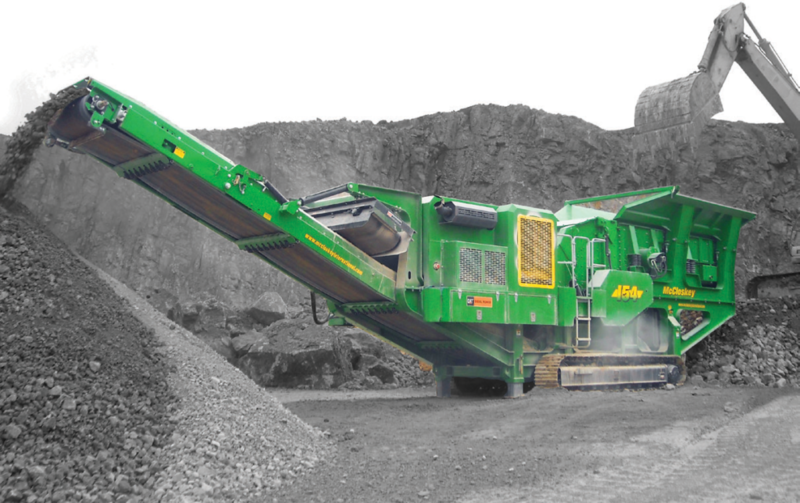 An independently vibrating 53.3” x 69” doubledeck pre-screen removes the majority of the fines in advance of the crushing chamber, increasing capacity and reducing wear. 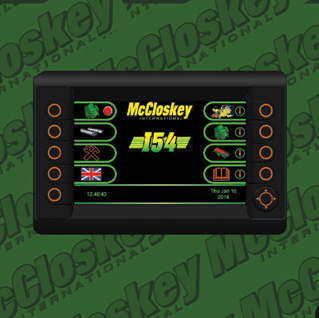 Available with a roll-in bogie, the I54 is easily transported and has a minimal setup time with the user friendly control panel, maximizing production time. 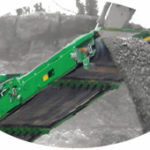 Extended 48” main conveyor as standard, giving large stockpile capacity. 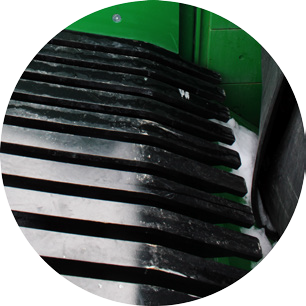 Conveyor lowers and raises hydraulically. 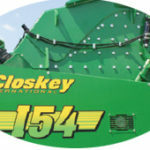 A 47” x 53.5”, four bar impactor chamber with a 37” x 53.5” feed opening. 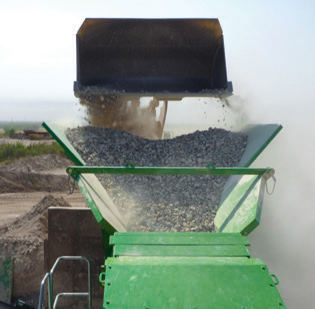 Folding Hardox® hopper mounted over vibrating feeder with independent pre-screen. 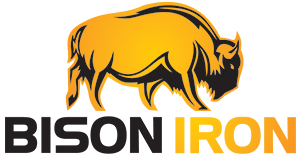 Feeder rate can be regulated manually or automatically by load sensing. 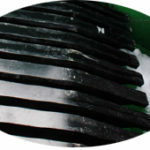 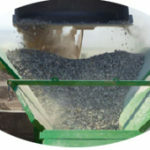 Standard independent crusher pre-screen maximizes crusher efficiency and delivers screened product via side conveyor.